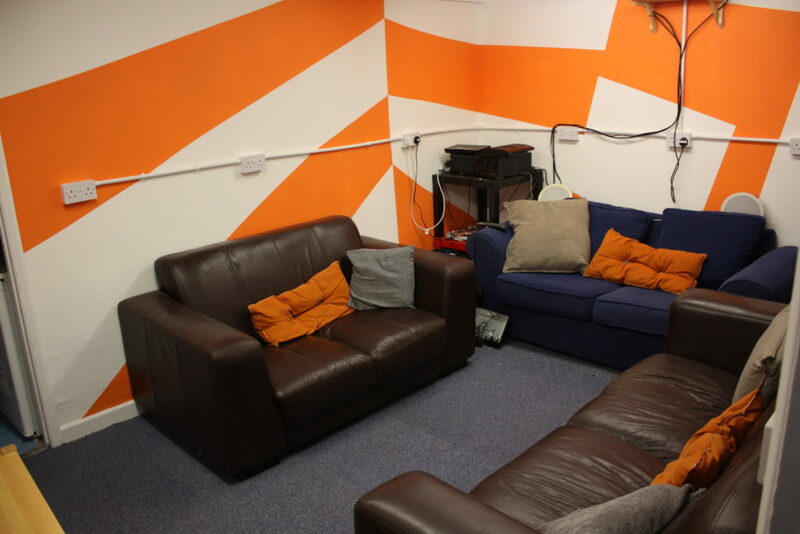 When you’ve finished that project or you just fancy sitting down for a chat and some pizza we have chill room with comfy sofas, audio-visual equipment and a projector and screen. The projector is frequently used for a bit of gaming, both retro and modern. In the kitchen you’ll find tea and coffee making facilities as well as a fridge full of canned drinks and a cupboard full of snacks if you’re feeling peckish.